My first introduction to mandolin came through Led Zeppelin 4, namely the tracks Going to California and The Battle of Evermore. Then I discovered many more mandolin tunes peppered throughout the Led Zeppelin catalog. I picked up the mandolin from time to time through out high school and college, namely to play those Zeppelin tunes, but never really got hooked on it until I gave my playing over to Celtic from Rock. However, I owe a great deal to Page, Plant, Bonham and Jones, for turning me on to this lovely instrument. One of my favorite guitar instrumentals to play was Bron Yr Aur, from the second disc of Physical Graffiti. I always thought that it would make a great mandolin arrangement. After fiddling (mandolining?) with the key, I came up with (what I think is) a lovely arrangement of the tune on mandolin. This one is for you, Mr. 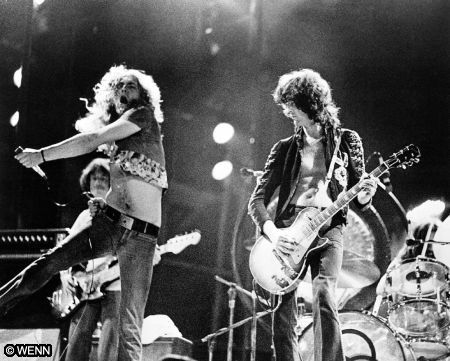 Page, and your three friends that inspired me in many ways throughout my young adult life.